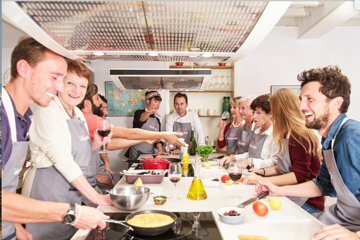 Instead of simply ordering at a restaurant, step into the shoes of a local chef with a market tour and tapas cooking class in Mallorca. See all that goes into the making of Mallorcan and Spanish cuisine as you shop for fresh, seasonal produce at the Santa Catalina Market and turn it into tasty tapas. Learn kitchen tricks you can take back home to impress your friends, and enjoy the homemade feast with wine in the company of fellow travelers.